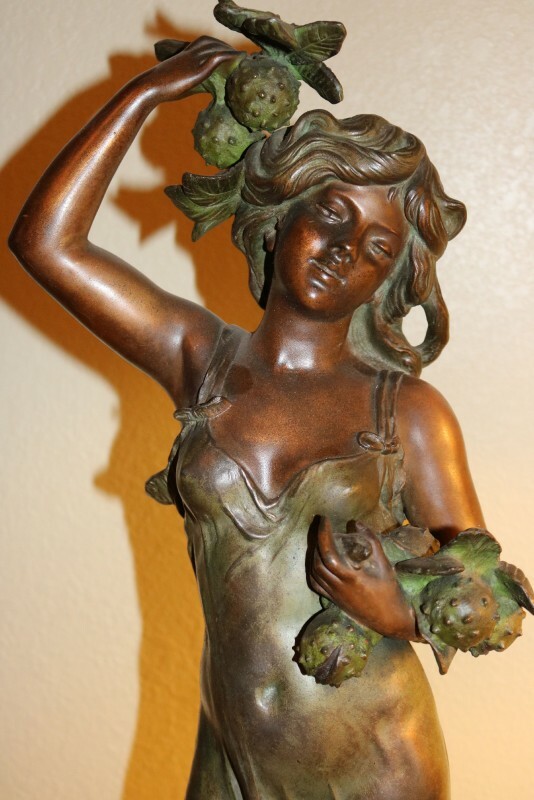 The patina on this oversized sculpture is simply amazing, and sets it apart from many others. 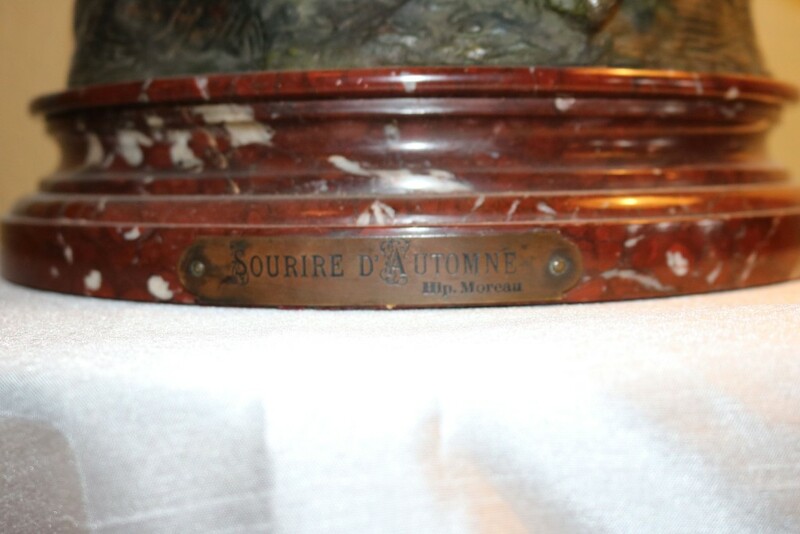 It is a signed artist, and has a thick marble base, and is in flawless condition. 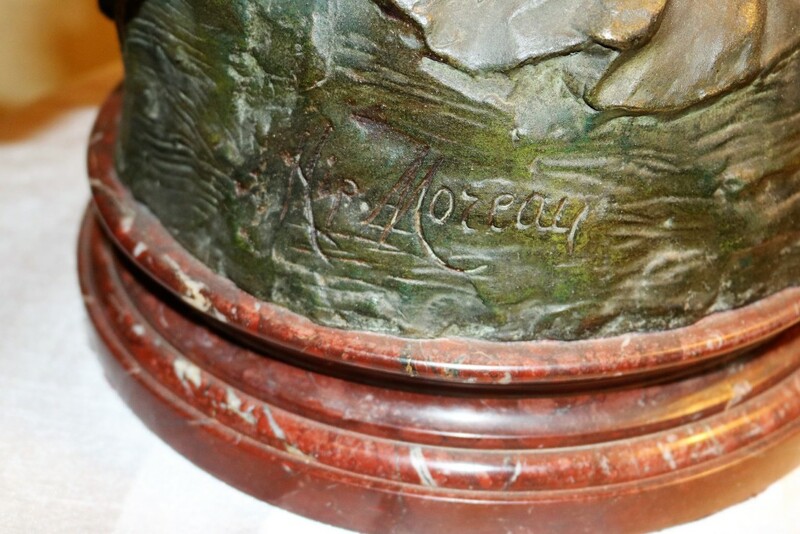 The Artist's is name Moreau and has original French Pluak. The woman is carring chestnuts in her hands.